Werksitz are German manufacturers of premium workplace seating for Factories, Laboratories, Clean rooms, Static safe environments and Stainless steel for wet areas. 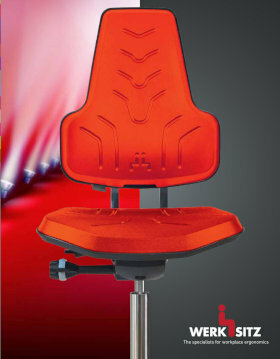 With its unique design in breathable and removable PU seat and back cushions and 10 colours of PU this make s the perfect work chair. Conforming to GMP and Class 5 clean room requirements these chairs are also available as Anti-Static ESD. These PU and stainless steel chairs can be used in “Wet” environments and are easily cleanable. Where a standard chair just won`t do, let Werksitz design and manufacture a special chair for your exact needs.